Today’s BELS (Bar Exam Language & Strategies) class was exciting because we (Professor Piper and I) tried out a new innovation in teaching IRAC writing to our students in the BELS academic support program. Last week as we reviewed the students’ bar essays, we noticed that often the rules in their Rule section didn’t match well with what they discussed in their Application/Analysis section. Some students discussed, mid-analysis, elements or definitions that they did not introduce when they explained the applicable rule. So we tried to make the point that the Rule section is like a menu, and the Analysis/Application section when you order and eat. You can’t order anything if it’s not already on the menu. To help build awareness of mirroring, we devised an exercise wherein students had to infer and extract rules from sample analysis paragraphs. To begin, we gave the students the Application/Analysis section from five different model answers for the same question. After presenting them with the analysis portion of each essay, we asked them to try to write the rules they think the author wrote, based on language clues they read in the analysis. Near the end of the activity, they discussed which essays made it easier to reconstruct the author’s rule paragraphs. Finally, they matched the actual rules of the model answers to their own estimations of those model rules, and thought about which authors did the best job in mirroring their own rules in the analysis portion of each essay. In addition to valuable practice writing out rules, the students also started to notice which model answers did a good job of mirroring. This became evident because it was much easier to reconstruct the rule when the model answer made use of mirroring. This really drove home a sense of awareness of how much stronger a bar essay answer looks and feels when the pieces connect in a logical way that increases predictability and clarity, especially from the perspective of the person reading and grading the essay. 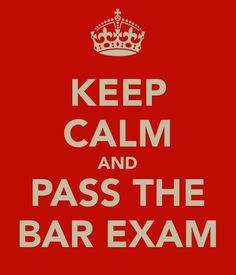 In this way, we continue to try to dig into the discourse and language issues unique to bar exam writing for our non-native English speaking LLM students.